In constructing correct doctrinal beliefs, we each must wrestle with the issue of the Trinity. 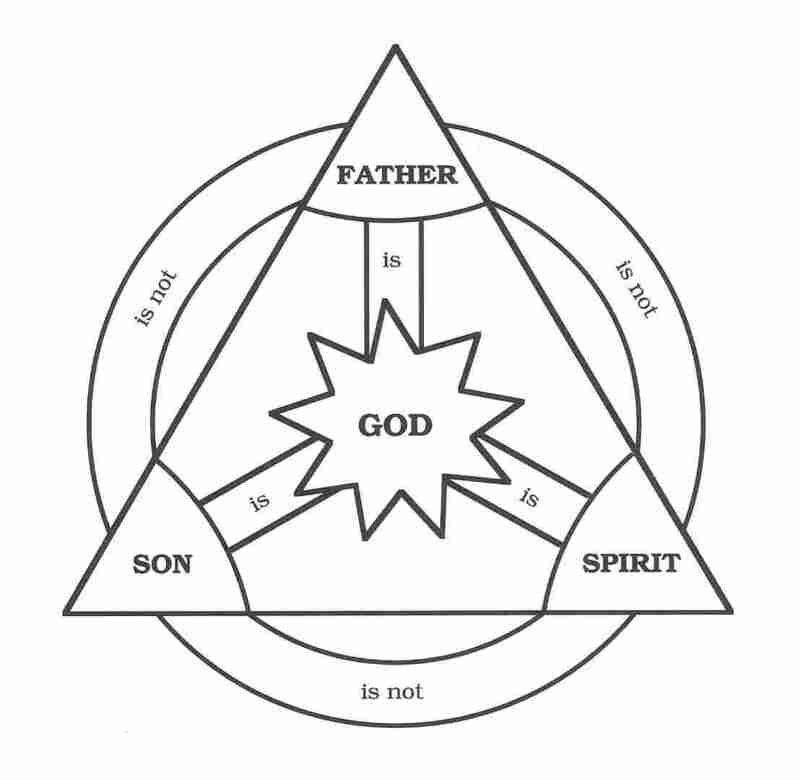 The Trinity is the term used to express the belief in the Christian Godhead as one God in three persons: Father, Son, and Holy Spirit. The Trinity is one of those beliefs that Christians claim to hold, but we often find ourselves unable to articulate the concept. To begin with, you must know the basics: the word “Trinity” is not in the Bible. The concept is, but the term is not. The concept was not even officially formalized until 325 AD at the Council of Nicaea. Emperor Constantine I invited 1,800 bishops of the Christian church to convene at this council to develop doctrinal cohesion in a rapidly growing Christian movement. Since Christianity was becoming the official religion of the Roman Empire, Constantine wanted to unite the growing number of people all over the land who were teaching conflicting doctrines. The purpose of the gathering was to address some of the theological disagreements to produce a widely held doctrinal stance on certain issues. While discussions concerning the deity of Jesus happened at this council, which led to the formalization of the doctrine of the Trinity, the concept was never fully agreed upon until the end of the 4th century. “Go therefore and make disciples of all the nations, baptizing them in the name of the Father and the Son and the Holy Spirit” (Matt 28:19). “The grace of the Lord Jesus Christ, and the love of God, and the fellowship of the Holy Spirit, be with you all” (2 Cor 13:14). “The angel answered and said to her, ‘The Holy Spirit will come upon you, and the power of the Most High will overshadow you; and for that reason the holy Child shall be called the Son of God'” (Luke 1:35). “After being baptized, Jesus came up immediately from the water; and behold, the heaves were opened, and he saw the Spirit of God descending as a dove and lighting on Him, and behold, a voice out of the heavens said, ‘This is My beloved Son, in whom I am well-pleased'” (Matt 3:16-17). “Now He who establishes us with you in Christ and anointed us in God, who also sealed us and gave us the Spirit in our hearts as a pledge” (2 Cor 1:21-22). And even more (Matt 12:28; Luke 24:49; Acts 2:33, 38; 1 Cor 12:4-6; Rom 15:16; Gal. 4:6; 2 Thess 2:13-14; Eph 3:14-19; 1 Pet 1:1-2; Jude 20-21; John 1:33-34; 14:16; 16:13-15; 20:21-22; 1 John 4:2, 13-14). Did you know that the Trinity is even alluded to in the Old Testament? In the first chapter of the Bible, the author uses a plural noun to describe God but pairs it with a singular noun in the Hebrew to say “created.” The biblical author doesn’t have bad grammar, but it appears that he is describing God bigger than what a mere singular noun can handle. When God creates man, He said “let us create man in our image, after our likeness” (Gen 1:26). He was not speaking of angels, because angels were not a part of the creative process. Something else is being described. In the first chapter of the Bible, it appears that there is reference to one God in three persons. The Old Testament contains even more references to this idea of a singular yet plural God at the same time (Gen 3:22; Gen 11:7; Isa 6:8; Ps 45:6-7; and many more). God is three persons. The Father, Son, and the Holy Spirit are each unique. They are different. The Father is not the Son, the Father is not the Holy Spirit, and Jesus is not the Holy Spirit. Each person is fully God. While they are each distinct, they are also at the same time fully God. While Jesus was fully man, He was also fully God. The Holy Spirit is to be worshiped and honored as God as well. There is one God. Scripture leaves no room for belief in three gods. While they are three, God is still one. The Scripture states it, the doctrine is described, but it is still very difficult to comprehend. Many analogies have been used through the ages in an attempt to describe the Trinity. Some have stated that the Trinity is like an egg. While an egg consists of yolk, white, and shell, they all comprise an egg or each could be called an egg by itself. The same idea is applied to a candle’s flame, stick, and holder. Some have described the Trinity like water which can be found in solid, liquid, and vaporous forms. Another popular analogy is that of a person. John Doe has an identity, but within that identity, he may be a father, husband, and worker all at the same time. While these analogies may serve to aid slightly in the task of comprehending the notion that God is one but three at the same time, they still don’t come close enough. While it would be helpful if an analogy could properly depict this doctrine, would we truly desire to have such an analogy? If an egg, a candle, or water could describe an infinite, holy, sovereign God, then quite honestly, God doesn’t seem as impressive. He is God. They is God. And if our limited minds could grasp that and communicate that notion easily, He’s more on our level and ceases to be the incomparable God that He is. God is one, and yet He is three. And while I’m not smart enough to explain it, I trust in my God who is big enough to handle it. Reference: Erkison, Millard J. Christian Theology. 2nd ed. and Grudem, Wayne. Systematic Theology.